Below are the people associated with the imGoats project. 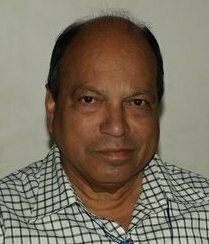 Dr Deo Avinash Dattatraya is a program organizer with BAIF and has experience in exotic pig and sheep breeding, dry stock farming of sheep and goat farming. 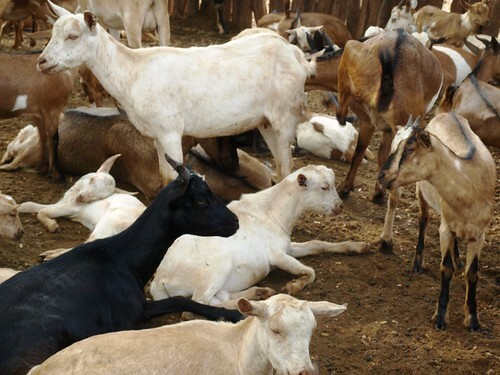 He worked for about 25 years in Maharashtra Sheep and Goat Development Corporation Limited where he formulated and implemented sheep and goat development schemes and management training for breeders and officers. He is the BAIF project coordinator for imGoats and is based in Pune. Dr Nikhilesh Modi, a veterinary graduate, has been working with BAIF Rajasthan Rural Institute of Development Management (RRIDMA) from 2008 as a programme officer of Udaipur and Sirohi districts. He is responsible for monitoring all livestock development programs in the districts. He is imGoats manager in Udaipur, Rajasthan. Shri BG Rathod is the state coordinator for BAIF’s livestock development program in Rajasthan. He has 32 years of experience in livestock development and has been engaged in small ruminant development activities for 21 years. In addition, he is well versed with the Silvipasture Development Programme, and Watershed and Horticulture Development. With strong experience in monitoring and evaluation, he is presently a member of the Rajasthan Rural Institute of Development Management (RRIDMA) monitoring and evaluation Cell and Research Focus Group of BAIF. Mr Amosse Maheme is the imGoats project officer at CARE. He has worked for the Sustainable Effective Economic Development (SEED) project in different functions since 2008, his last function being district supervisor for the livestock component. Amosse is a medium level technician with over 6 years of work experience. Apart from CARE he also worked for VETAID Mozambique on food security activities. Mr Roberto Cassiano Pedro provides managerial and technical support to the imGoats project. He is a medium level technician is the deputy manager of the livestock component of the Sustainable Effective Economic Development (SEED) project. He has been with CARE since 2006 working on livestock development including increasing livestock production and establishing linkages to markets for cattle and goat producers. Before joining CARE he worked for different NGOs and in the private sector for almost 20 years. 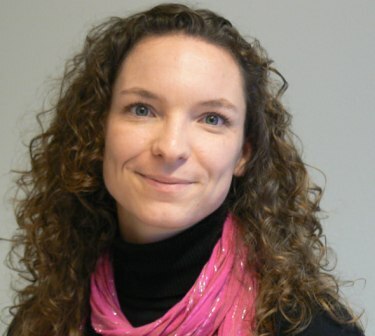 Mrs Michaela Cosijn is technical advisor to the imGoats project. Her background is in environmental sciences particularly natural resource management and poverty reduction. Michaela has 16 years of experience in different parts of the world including New Zealand, South Africa and Mozambique. She has provided technical support to CARE on various projects since 2006. Mrs Eve Dufresne is the overall project manager for the Sustainable Effective Economic Development (SEED) project at CARE. She has been managing the SEED project since January 2010 and previously worked as the CARE Canada Programme Manager for 5 years. Eve has a Master of Public Administration specialized in International Management. She has been working in international development for 14 years based in Canada, Latin America and Africa. Mr Feliciano Majesso is the imGoats extension officer in Inhassoro district. Feliciano has been with CARE since 1999 working on different projects. Before joining the imGoats team he worked as district trainer for the Strengthening Civil Society for Rural Empowerment (SCORE) project. He is a medium level technician with over 20 years of work experience. Steve Staal is the director of ILRI’s Markets, Gender and Livelihoods research theme. He is also involved in research projects on smallholder competitiveness; transactions costs and policy in dairy marketing, including special emphasis on indigenous dairy markets; and analysis of the spatial evolution and intensification of smallholder crop-livestock production systems. These projects have been implemented primarily in East and West Africa, and South Asia. Derek Baker leads the ILRI research team on Changing demand and market institutions. His key skills are economic analysis (enterprise, market, industry and national levels), marketing systems and value chain analysis, mathematical modelling, project cycle management, and training. As a team leader and project manager, he has managed more than twenty international development projects from home base and in the field. His project experience is primarily in economies in transition, focusing on public-private partnerships, new roles for the state, and the establishment of incentive-compatible institutions and policies. Saskia Hendrickx is the national coordinator for ILRI in Mozambique and is based in the ILRI Southern Africa office in Maputo, Mozambique. She joined ILRI in February 2009 as project coordinator for the project Early Detection, Reporting and Surveillance for Avian Influenza in Africa. She is a veterinary epidemiologist with expertise in emerging and neglected zoonoses, mostly gained through her work with several teams of the World Health Organization (WHO) including the Global Early Warning System for major animal diseases, the WHO Department for Epidemic and Pandemic Preparedness and Response, and the Alert and Response Operation team of the WHO Country Office for China. Iain Wright was ILRI’s regional representative for Asia from October 2006 until January 2011 when he was appointed the director of ILRI’s People, Livestock and Environment theme based in Addis Ababa, Ethiopia. He has a BSc (Agriculture) and PhD in Animal Nutrition and 30 years’ experience of conducting and managing research and development. Prior to joining ILRI he worked at the Macaulay Institute, Scotland where he managed a number of research programs on land use change and land use systems. He has a wide experience on livestock systems in Europe and Asia. Michael Blümmel is an animal nutritionist with extensive experience in food-feed aspects of crops and feeding systems. He is based in India and has led several projects in ILRI and the International Crops Research Institute for the Semi-Arid Tropics (ICRISAT) on food-feed-crops and forages. He leads the ILRI research team on Environmentally Efficient Production Options for Intensifying Livestock Systems. He has over 15 years’ experience in research, teaching and extension in Africa, Asia, Europe and USA. He has worked in close collaboration with several national and international crop improvement institutions on food-feed-crop research on barley, sorghum, pearl millet, groundnut, pigeon pea and rice. Ramkumar Bendapudi is the imGoats special project scientist based in Udaipur, India. He leads the project’s research activities in India in collaboration with BAIF and in close interaction with the project team in Mozambique to develop research outputs across the two countries. He holds a PhD in Agriculture and Resource Economics and has worked with several research and development organizations in India including ICRISAT and the Swiss Foundation for International Development and Cooperation. He has also worked as a development consultant/advisor to governmental organizations and several non-governmental organizations in India. Birgit Boogaard is a postdoctoral research fellow in the imGoats project. She is based in Vilanculos, Mozambique, and works in collaboration with CARE and in close interaction with the project team in India to develop research outputs across the two countries. Birgit holds an MSc in Animal Production Systems and Communication and Innovation Studies and a PhD in Animal Production Systems and Rural Sociology. Her PhD focused on the socio-cultural sustainability of animal production systems. She has field-based work experience in the Gambia, Brazil and Norway. After her PhD she worked as researcher at the System Innovation Group of Wageningen Livestock Research. Thereafter she became assistant professor of human-animal relationships at the Rural Sociology Group of Wageningen University. Kees Swaans is a scientist with the Innovation in Livestock Systems team. Kees has a PhD in Innovation and Communication in health and life sciences from VU University Amsterdam. He has several years’ experience as a project coordinator and managed an action-research project in South Africa to improve food security and well-being among poor and HIV/AIDS affected households through agricultural innovation. He has worked in developing countries (Kenya, South Africa, Thailand and Vietnam) and worked intensively together with stakeholders at the local, national and international levels. Hailemichael Taye is a research assistant with the ‘Innovation in Livestock Systems’ team. He holds an advanced MA degree in Development Evaluation and Management from the Institute of Development Policy and Management, University of Antwerp. He has about 10 years’ experience as a monitoring and evaluation specialist, agricultural extension expert, socio-economics researcher and part-time development consultant. Pamela Pali works with ILRI’s Poverty, Gender and Impact group as a monitoring and evaluation scientist. She supports multiple projects across ILRI’s research themes. She holds a PhD in Agriculture and Natural Resource Economics and has worked with the sub-Saharan Africa Challenge Program of the Forum for Agricultural Research in Africa as a monitoring and evaluation postdoctoral scientist based in Rwanda. Peter Ballantyne is the head of ILRI’s Knowledge Management and Information Services Unit. He has a wealth of experience in the management of agricultural information and knowledge, and has worked in several institutions in the international development sector. He is based in ILRI’s principal campus in Addis Ababa, Ethiopia. Jane Poole is the co-lead of the ILRI-ICRAF Research Methods Group. An applied statistician specialized in medical, agricultural and biological statistics, she has several years of work experience as a biometrician and statistician in agricultural and forestry research institutions including CAB International, Natural Resources Institute and the World Agroforestry Centre (ICRAF). Tezira Lore is the communications specialist of ILRI’s Markets, Gender and Livelihoods Theme. She provides communications support to research teams and projects and is responsible for knowledge and information management for the Theme. She is in charge of content management of the imGoats website. Nancy Ajima is the program management officer of ILRI’s Markets, Gender and Livelihoods Theme. She offers administrative, financial and managerial support to projects within the Theme.